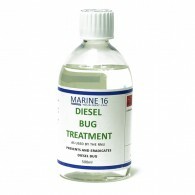 Diesel Bug Treatment is exactly what the product says. Our diesel bug treatment is a biocide blend formulated especially for preventing or eradicating the fuel spoilage organisms known collectively as diesel bug. A 100ml bottle is sufficient to prevent diesel bug growth in 2000 litres of fuel. For s..
For complete protection with biodiesels, ulsd and any diesel type. Prevents the growth of diesel bug. 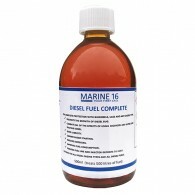 Combats all of the effects of using biodiesel and ultra low sulphur diesel. Gives lubricity, cleaner easier starting, reduces emissions, improves fuel consumption and reduces fuel line and injector .. 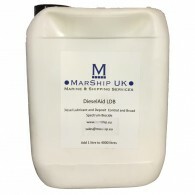 Designed with smaller fuel tanks in mind, DieselAid® LDB offers an all-round treatment designed to offset the adverse effects of ULSD. Formulated for operations where large volumes of commercially available EN590/Red Diesel is held in tanks but is not stored for long periods. The Broad Spectrum Bioc..